GSA is happy to bask in the reflected glory of Carola Lentz’s win of the prestigious Melville J. Herskovits Award (2014) for her book Land, Mobility and Belonging in West Africa (Indiana University Press). The Herkovits prize is awarded to the author of outstanding original scholarly work published on Africa in the previous year. The ASA Board of Directors will sponsor an ‘Author Meets Critic’ panel on Carola’s book during the 58 Annual Meeting from 19-22 November 2015 in San Diego, CA. (Session XII-I-1 on Sat, 21 Nov from 4:00-5:45 pm). 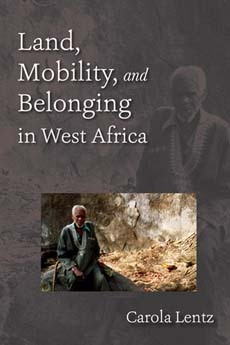 Carola Lentz is Professor of Social Anthropology in the Department of Anthropology and African Studies at Johannes Gutenberg University, and a long-time member of GSA. 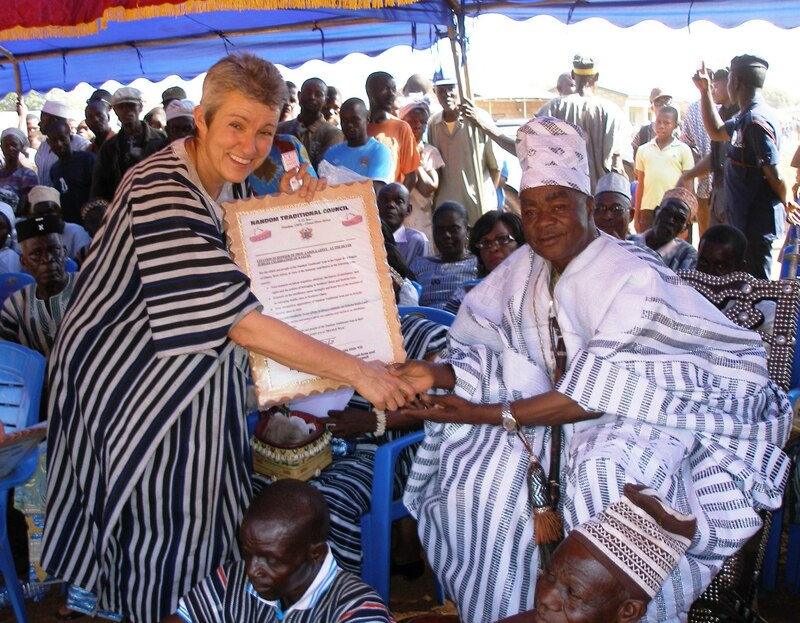 [picture right] In recognition of her research and publications on the Nandom Traditional Area and her longstanding support for the Kakube Festival, Carola Lentz was awarded the title of Maalu Naa (Development Chief) by Nandom Naa Dr. Puoure Puobe Imoro Chiir VII, the Paramount Chief of Nandom, Upper West Region, in December 2013. ← Announcing the winners of the 2015 GSA Research Grants!